Many small children are injured in car accidents each day. In some cases, an appropriate car seat design would have prevented the injuries. Unfortunately, in many situations, manufacturers rush car seats to market. How long a baby or child must ride in a car seat varies from state to state, but in some cases, the car seat itself is partially or fully to blame for the child's injuries or death. Disturbingly, many manufacturers defend themselves by trying to shift the blame back to parents, even when a seat had defects and failed to provide an adequate restraint. If your child was hurt or killed by a defective car seat, the car seat defect lawyers at Moll Law Group are available to file a claim to seek recovery of compensation. Billions of dollars have been recovered in cases in which our child injury lawyers have been involved. There are many different types of defects that may exist in a child's car seat, putting the child in danger. Some possible defects include the three-point harness, seats that angle horizontally, low chest clips, a T-shield, mislabeled shoulder harness slots, weak plastic shells, and booster seats that have no upper body support. If your child was injured or killed due to a product defect, you may be able to recover compensation by bringing a product liability lawsuit. These cases may be brought if a product has a manufacturing defect, design defect, or marketing defect. Often, a defective car seat lawsuit involves a design defect, which is a flaw in the design of a product that usually results in all specimens of the product being defective. In many states, a design defect leads to a manufacturer being held strictly liable. This means that a car seat manufacturer can use reasonable care in coming up with the design but still be held responsible for a design flaw that results in an injury or death. 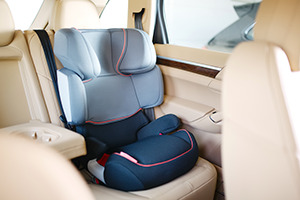 In some states, however, a car seat defect lawyer must prove negligence, and a manufacturer can defend a claim of negligence on the grounds that it used reasonable care. In order to establish a design defect, consumers may use the risk utility test or the consumer expectation test. The risk utility test holds a manufacturer liable if the likelihood and severity of harm to a consumer is more than what it would have cost the manufacturer to employ an alternative safer design and the diminished usefulness of the alternative design. The consumer expectation test holds the manufacturer liable if the car seat did not perform as safely as an ordinary consumer would expect that it would when used in a reasonably foreseeable way. In some cases, there may also be marketing defects. For example, if the instructions that come with the car seat are confusing or result in an unsafe installation of the car seat in the vehicle, this may be construed as a marketing defect. Marketing defects may be pursued under a theory of strict liability or negligence, depending on the state. If your child was harmed due to a defective car seat, the product liability attorneys at Moll Law Group are available to pursue a claim on your behalf. We represent injured individuals and families nationwide, including in states such as California, Florida, New York, Texas, Pennsylvania, Ohio, and Michigan. Call us at 312-462-1700 or use our online form to arrange a free consultation with a car seat defect attorney.